HOLLYWOOD SPY: RALPH FIENNES TO PLAY COMPOSER HANDEL IN HILARIOUS 18TH CENTURY COMEDY 'HALLELUJAH'! JULIE WALTERS, COLIN FIRTH TO LEAD 'SECRET GARDEN' PERIOD SET ADAPTATION! RALPH FIENNES TO PLAY COMPOSER HANDEL IN HILARIOUS 18TH CENTURY COMEDY 'HALLELUJAH'! JULIE WALTERS, COLIN FIRTH TO LEAD 'SECRET GARDEN' PERIOD SET ADAPTATION! Only a month or two ago I informed you that our favourite Studiocanal is planning a new big screen adaptation of THE SECRET GARDEN and now they have stars too, massive thespians! Julie Walters and Colin Firth will lead the cast in the story moved from the Edwardian era to 1947, on the eve of Partition in India, and in the aftermath of WW2 in Britain. Set in England and based on Frances Hodgson Burnett’s 1911 book, THE SECRET GARDEN tells the story of Mary Lennox (Dixie Egerickx), a prickly and unloved 10 year old girl, born in India to wealthy British parents who never wanted her. When her parents suddenly die, she is sent back to England to live with her uncle, Archibald Craven (Colin Firth), on his remote country estate deep in the Yorkshire moors. There, she begins to uncover many family secrets, particularly when she meets her sickly cousin Colin (Edan Hayhurst), shut away in a wing of the house. Together, the two damaged, slightly misfit children heal each other, partly through their exposure to a wondrous secret garden, lost in the grounds of Misselthwaite Manor. 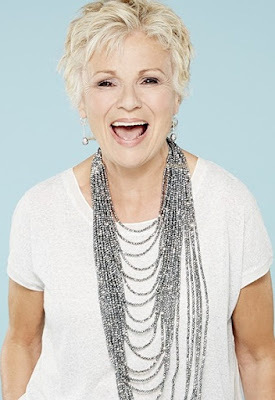 Julie Walters will play Mrs Medlock, the head housekeeper at Misselthwaite. Amir Wilson and Isis Davis will also star. In another period set movie, Ralph Fiennes and director Chris Addison will work together on comedy drama HALLELUJAH a period set movie on famous composer George Frederick Handel and the chaotic, spectacular first performance of his Messiah. Set in a riotous 18th century London and Dublin, the farce follows drunk and cantankerous Handel who is a forgotten man to all but his whip smart valet. Worse still, he has lost his inspiration to compose. However, when he overhears the singing of famous actress Susannah Cibber, the composer is moved to write once again and King George II tasks him to create an oratorio to celebrate the new Irish Viceroy in Dublin. Yet, when Handel approaches Susannah with the news, he is shocked to learn that not only does she have a fear of singing in public, she’s also on the run from her vengeful husband. The motley crew travels to Dublin only to realize that London’s gin-soaked alleys are no match for the competing, sectarian politics of Dublin’s choirs, the stupidity of English overlords, and the hypocritical morals of the day. Confronted with these odds, Handel has no choice but to defy his critics and keep going. Show must go on. It's difficult to imagine Handel and his oratorio "Messiah" as being at the heart of a madcap sitcom of a movie, but hey, I'll be open-minded about it. I'm sure Ralph Fiennes will be brilliant. You know it is speculated that Handel was gay and that his valet was his lover. I wonder if that will be worked into the mix? I hope so. OMG I know they used to call him Papa Handel, maybe he was their Papa Bear? Julie Walters and Colin Firth seem like good casting for The Secret Garden. It's been so long since I've read the book, I can't wait to reacquaint myself with the story once it's finally released. "The Secret Garden" sounds like my kind of movie. 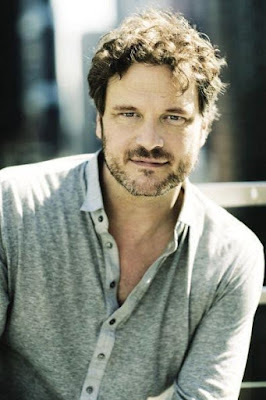 It has elements that appeal to me: India, Britain, an orphan, a remote estate, family secrets...and Colin Firth. you should catch some of the older movie versions too, some are very enchanting.